Jade - What is it? - Where does it come from? - Why is it so Valuable? When jade is found it comes inside stones, rocks and even boulders. The value of the rock cannot be seen but only guessed at. In fact it may not contain jade at all. One method of knowing is to strike the stone with a hammer or sledge hammer since a jade-stone will rebound the hammer. Once ascertained that it is indeed jade a small window is cut into the stone. From this the expert dealers have to estimate or even guess at the value and quality within. They don’t always get it right. 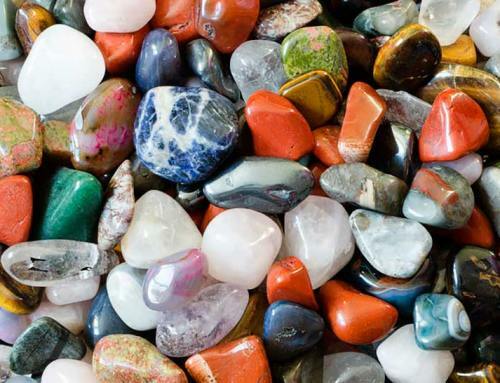 A Burmese taxi driver bought a stone for 23 U.S. dollars. He sold it on for 5000 U.S. dollars to a dealer who resold it for 23,000 U.S dollars. Once a stone is cut and carved into the largest artifact it will allow, the smaller pieces are used for beads and rings. Even the tiniest of pieces are ground up and combined with other ingredients to produce building materials said to promote a calm and peaceful environment in which to live or work. 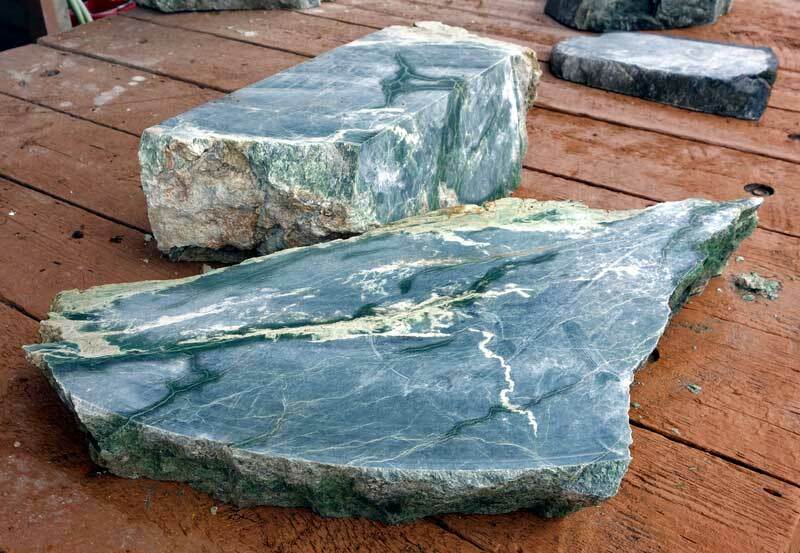 Jade is a metamorphic rock, of dense close grained matted aggregates formed by heat and pressure and there are actually two types. ‘Nephrite’ is made up of hydrated silicate of calcium, magnesium and iron with a specific density of 2.90 to 3.02, a refraction index of between 1.60-63 and 1.62-65 and hardness on the Mohs scale of 6.5, it comes in various shades of green, but also in white, yellow or red. ‘Jadeite’ which is stronger and rarer and therefore more valuable, is sodium, aluminum silicate, with a specific gravity of 3.30 to 3.36, refraction is 1.645-1.667 and hardness is 7. (Steel incidentally is 6.5 and diamonds 10). Jadeite can be found in green, white, pink, red, black, brown and violet. Today Myanmar (Burma) is the largest exporter, with some exports coming from Guatemala, New Zealand and Australia. There is a growing trade from Canada. Although jade is most commonly associated with China its own supply is mostly exhausted. As few or no records are kept it can be almost impossible to tell where a piece of jade comes from. 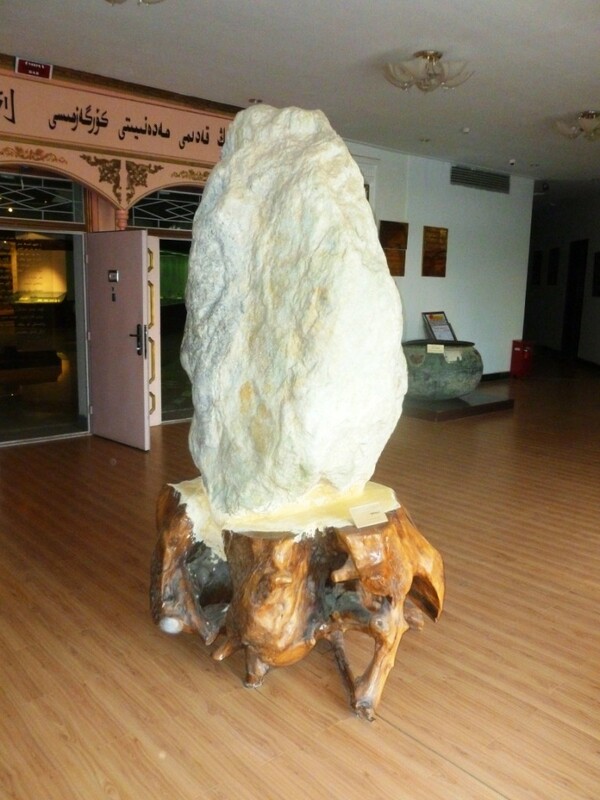 The largest boulder ever found is in Kachin, Myanmar worth an estimated US$170 million . It is said to weigh 3000 tons and is buried forty foot underground and measures twenty one meters by five meters by ten meters. More recently a stone weighing 115 tons was reportedly discovered in the same place. There are many claims as to the largest jade carving. In Beijing there is a carving of a ship twenty foot long. In Anshan Temple, China, stands a Buddha eight meters tall weighing 260 tons. It took eighteen months and 120 sculptures to complete and is housed in a Temple building 33 meters high representing the 33 layers of heaven in Buddhism. A piece of gem-stone quality jadestone found in Canada has been carved into a four ton, seven foot high Buddha. Currently on display in Florida, it denotes peace and will be displayed around the world before permanently residing in Australia. Because of its strength Jade, both Nephrite and Jadeite, can be carved into the most intricate and exquisite designs. 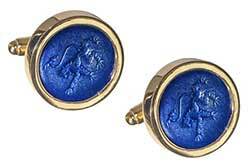 They depict country scenes, dragons, herds of horses, beautiful rings, earrings or necklaces. Because of its antiquity, estimated at being 141-570 million years old, it is rising in value rapidly. Asian dealers are on a huge buy-back scheme very aggressively bidding on pieces turning up in auction rooms around the world. At Sotheby’s Auction House in Hong Kong recently a white jade seal valued at 6.4 million U.S. dollars sold for 12.29 million U.S. dollars. A small green jade elephant sat in a bank vault for almost seventy years. It was valued at 150.000 pounds sterling. However it sold in a small English country auction house for 4.2 million pounds sterling. Ounce for ounce Jade is more valuable than gold, and that is not even taking the value of a piece’s antiquity into account. It is always appreciating and there is today a jade boom. The Chinese value above all else the creamy colored marbled jade which they call ‘mutton fat jade’. However all jade is valued and collected and it is the rising middle class in China that is now pushing prices ever higher. Everyone wants some, not necessarily for its monetary value you might be surprised to read but for its health benefits. It is said to be more valuable than gold for gold can be evaluated, whereas Jade, ‘The stone of Heaven’, is priceless. Each color has its own attributes. Red defuses tense situations. Yellow and orange bring inner peace. Green is the color of healing, gives hope, is calming and can bring about romance. Blue helps one meditate. Black is a defense against negative situations. Brown connects to the earth. White and cream can boost energy. Peace, tranquility and deep wisdom are just some of the attributes of Jade, “The Stone of Wisdom and Prosperity”. Jade carved into a butterfly is thought to attract love. A wise Chinese person would never make an important decision unless they were holding a piece of genuine jade or ‘Zhen yu’. Harder than steel Jade is an extremely tough gemstone and in prehistoric times it was used for tool and weapon making. In ancient China and amongst the Mayas and Aztecs of Central America it was more valuable than gold. 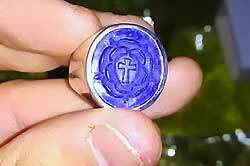 It is a symbol of all that is good and precious and has been so for thousands of years. A piece of jade carved into a deer symbolizes high office, as a duck love; carved into bamboo it denotes lofty conduct, as a fan benevolence, a lotus holiness and fashioned into a cabbage it denotes wealth and prosperity. Jade got its name from the Spanish ‘piedra de jada’, the loin stone, as it is believed to be effective in helping cure problems with the kidneys. 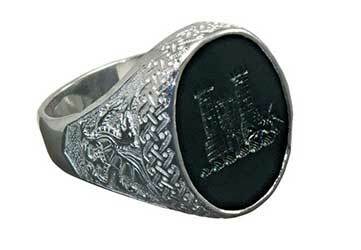 Jade was first found in the Rivers of Chinese Turkestan, two of these rivers still bear their names, ‘Black Jade river’ and ‘White Jade river’ and as it is considered to be a Yang force. What better to attract it than a Yin force and that Yin force comes from women. So it was women, naked women no less, that collected the jade. To save their modesty all gathering was done at night. Nephrite, the softer jade was first carved into amulets to relieve stomach heat, enhance heart function and calm the nerves. It strengthens blood vessels and improves eyesight and hearing. As such it harmonizes the body, wards off fear and anxiety and helps to achieve longevity. However it was not only the Chinese that believed these things. So did the Egyptians, the Maori’s and the Koreans. It was the Mesoamericans, the Aztecs and the Myans that gave us our western name jade. 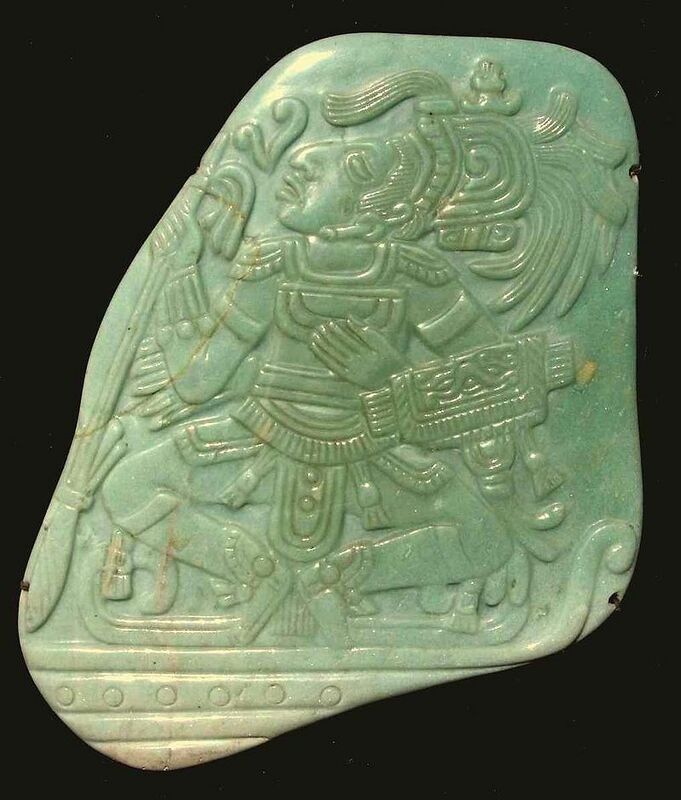 When the Conquistadors arrived in South America, they found the people wore jade stones around their waists to alleviate kidney and stomach problems. 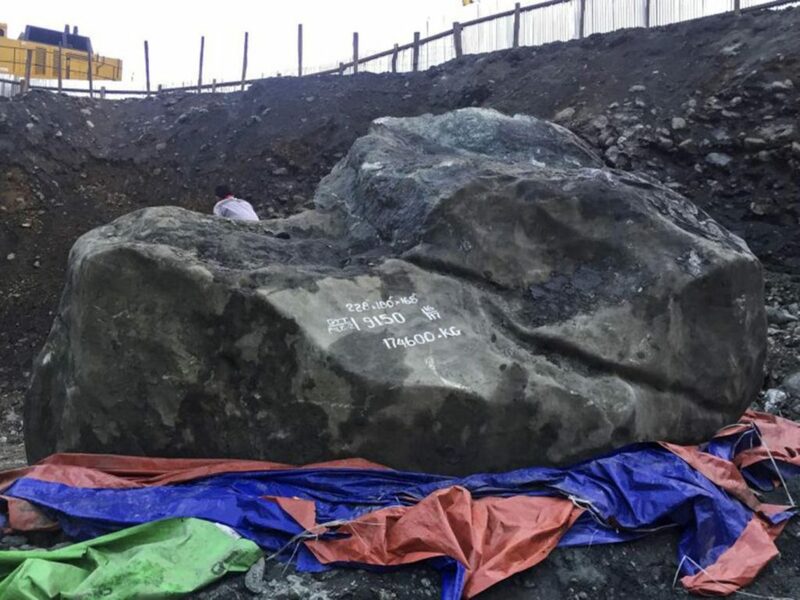 This they named Piedra de Jada, ‘the stone of the loins’ and they too adopted this practice. Believed to be a natural transmitter of far-infrared rays, jade does have a similar wavelength to the human body. It also contains a variety of minerals beneficial to life. It really isn’t too much of a mystery as to how these health claims arose. Drinking ‘The Divine liquor of Jade’ was thought to be beneficial. The water is filtered through jade stones before being made into a tea. We have heard of a study in Germany of mice drinking such water. They showed a decrease in blood pressure, lower cholesterol levels and an increase in sperm count. It is well documented that fish live longer in jade filtered water. Jade crushed into a powder and applied to open wounds facilitates healing. There is some disparity of opinion however as to whether it can be taken internally. Some believe that the body’s own strong gastric juices can destroy any benefits before they can take place. But all believe that its external power greatly benefits health. Approximately 2,700 years ago, whilst cutting wood on Mount Jing in the kingdom of Chu, the woodcutter Bian He discovered a stone. He believed that it held a valuable piece of jade inside. However rather than keep it for himself he presented it to King Li of Chu. It was decided that it was of no value. As a punishment for wasting the King’s time it was ordered that one of Bian He’s legs be amputated. Years passed and so did King LI, he was succeeded by King Wu, so once again Bian He presented his stone to the court. Once again it was decreed that he was wasting time and wanting to deceive. He therefore should have his remaining leg cut off. ‘He Shi Bi’, The Jade disc of He. Eventually the kingdom of Chu came under the rule of King Wen. Bian He being a persistent person, or a perhaps a slow learner, again presented his stone to the King. This time however the stone was cut open. To the amazement of all, the white jade found inside was of the highest quality ever to be discovered and was carved into a disc. To bestow honor upon Bian He it was named ‘He Shi Bi’, The Jade disc of He. This disc later came to be owned by the ruling King of Zhao. Being of such immense value the ruler of Quin state offered to buy it. He offered fifteen cities along with all their citizens and lands. During negotiations it became apparent that he was not going to honor his offer. Only by threatening to smash the disc and kill himself was the King of Zhao’s representative allowed to retain the disc and return it to his King. Even today “to return the jade to Zhao” means to return something to its rightful owner. Eventually however this piece of jade did fall into the hands of Quin. 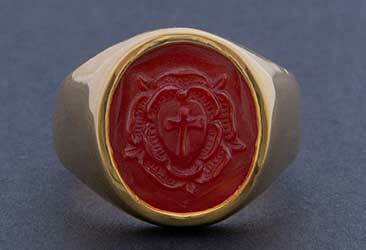 It was then inscribed “Having received the mandate from heaven, may the Emperor lead a long and prosperous life”. ‘He Shi Bi’ had become the ‘The Imperial Seal of China’ and its possession was proof of rulership. The status and symbolism of Jade is quite staggering. It is difficult for most western minds to grasp the intrinsic value given to it by the far east. Here its power far out reaches is monetary value. The Supreme Deity of Taoism has the name ‘Yuhuang Dadi’, The Jade Emperor. To preserve his body Liu Sheng, the ruler of Zhongshan State in 113 BC was buried in a suit. It was made from 2,498 pieces of Jade sewn together with gold thread. A Jade mouthpiece for an opium pipe is said to bestow longevity. To be “as unpolished Jade” is to be ignorant. It is also called “The Divine Stone”. It was treasured by the Pharaoh’s of Egypt, the Celts of Europe, the Maoris of New Zealand. The Incas, the Aztecs and Mayans held it in high esteem. And it is unlike any other gem. It is not just a precious jewel. Harder than steel it can be used as a tool, a scraper, an axe head or a spear head. Archaeological excavations in the Immortal cave in Liaoning province in China have found artifacts which they have dated 12000 years old. So! what is happening in the modern market place ? Well of course eastern countries believe strongly in the power and existence of Ch’i or Qi, a person’s life force. Jade works directly with this force to enhance it. The ‘Korean Research of Standards and Science’ have approved new indoor building materials incorporating jade. Its mineral content has many beneficial properties, as well as its ability to emit negative ions. In Taiwan a hi tech company is making material, incorporating ground jade. Clothes made with this can cool down those wearing it by as much as 1-2 degrees Celsius. A difference of ½ of a degree is enough to give a sensation of coolness. This is because it is a non-conductor and therefore heats up slowly. Pillows, beds, saunas incorporating jade are fairly commonplace. The myths and stories surrounding jade only serve to make it more mysterious and more valuable. 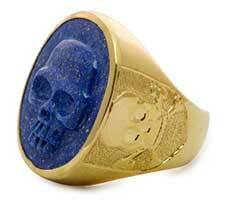 Wearing it as an ornament it will give you a fascinating life, a safe journey and a peaceful death. What other gem holds such mystique? 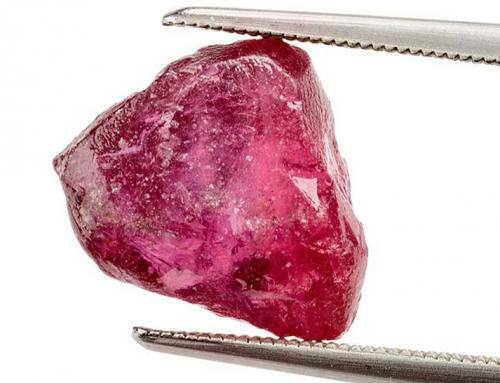 What other gem can be carved into such a large object and such a tiny artifact? It is valued for its artistic sentiment and as an investment. 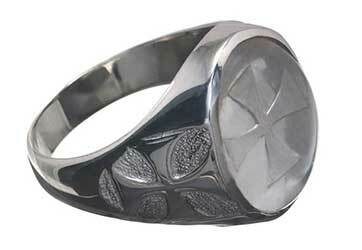 It has the health giving benefits of bestowing calm and peace on its wearer. 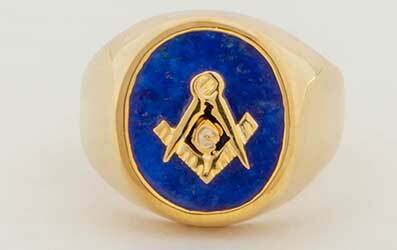 What other gemstone can hold its value when flawed? Some imperfect jade is all the more valuable because of it. Jade, a small piece of heaven bestowed upon mankind by the Gods. 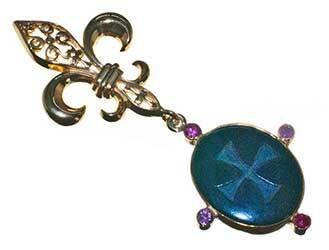 At Regnas we love to create wonderful pieces of jewelry using Jade. 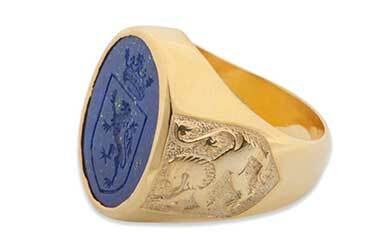 It is the stone of choice for many of our custom commissions.